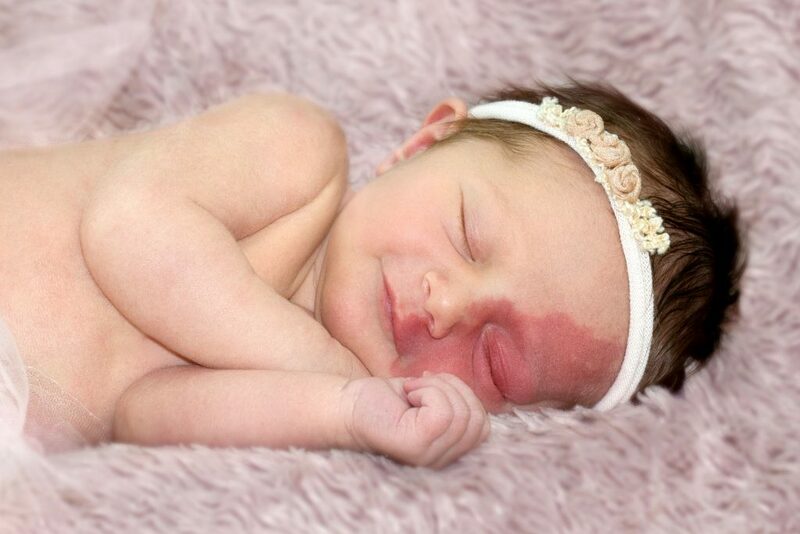 A baby with a birth mark covering half of her face has undergone £15k laser treatment to stop taunting strangers. 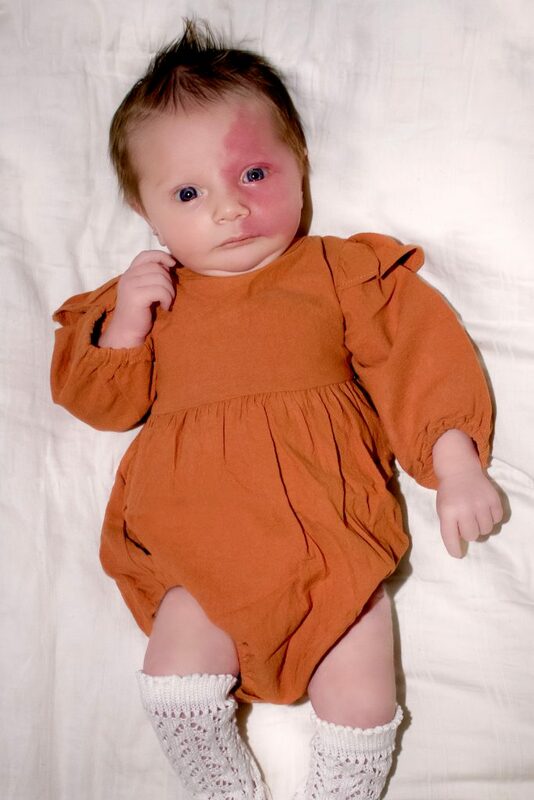 Doting mum, Amanda Leutenberg, 34, was devastated when her daughter, Ever, was born with a dark red port-wine stain covering half of her face. And with strangers staring and mistaking her for having a severe rash, Amanda, knew she needed to research treatments for Ever. Amanda opted for laser treatment, costing over £2,500 per session, for her five-month-old daughter to ensure that her skin remains as clear and healthy as possible. Alongside providing her daughter with the life-changing treatment, Amanda has also created a clothing line, named Ever Grey Designs – which has images of animals with port-wine stains and other conditions on – for children to feel accepted for their differences. Amanda, from Chicago, United States, said: “When they first handed her to me I noticed that something was different – half of her face was dark red and one eye was very swollen. “I was nervous because I was being filled with ideas of the worst case scenario, I didn’t even imagine that it could be from a birth mark. “But then when we did find out it was just a birth mark it was about finding the best way to keep it minimal and keep her skin healthy. “Despite how expensive the treatment is, I wanted her to start it almost immediately to lower the chance of her having plastic surgery and extensive costs in the future. When her daughter was born, Amanda was immediately posed with questions about what was wrong with her daughter’s face. Amanda said: “The first time that I took Ever out of the house after she was born, we were sat in a restaurant eating some breakfast. “I was really taken aback and hurt by it – she was only days old and was already getting judgement. “But I decided to get her out of the car seat and show her off, because I didn’t want her to be upset or she would mirror that emotion in later life. 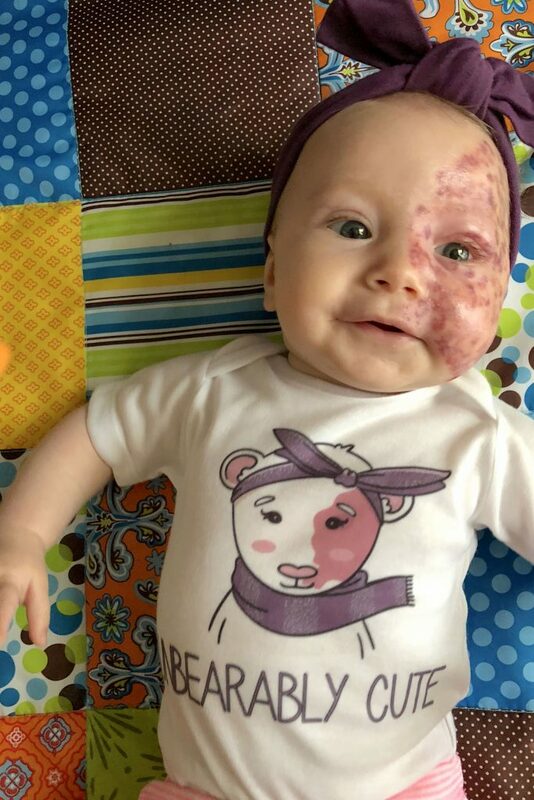 To encourage her daughter further to accept her birthmark, Amanda has also created a clothing line for children with differences. The line includes t-shirts and onesies of animals with differences from asthma, visual impairments and disabilities. She said: “I decided to make the range so that children with differences didn’t feel embarrassed of how they look – whatever their condition is. 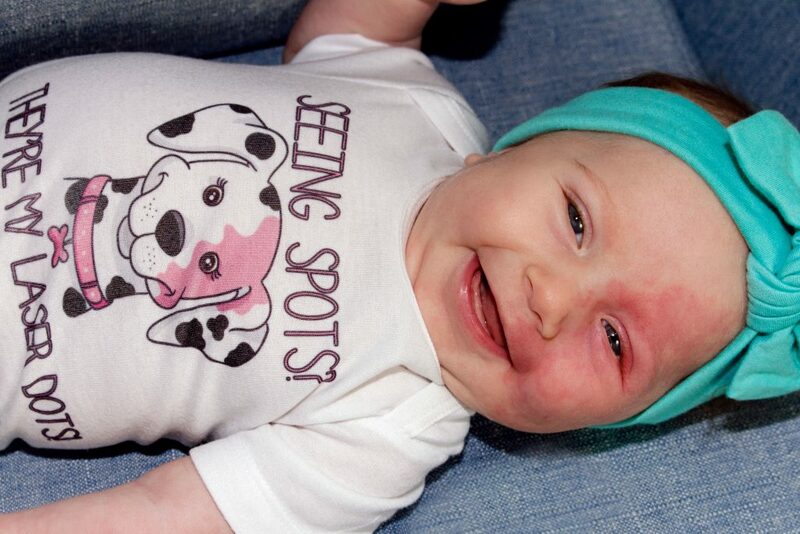 “I created a line that was specifically for port-wine stain children – where the mark on the face matches Ever’s. “As well, when she’s wearing the tops, it makes it easier for people to understand what is going on and that to us it’s beautiful.